The open well close to Jakkur is a beautiful structure. It is at least 50 years old and was built in the old style of dry stone pitching. Unlike many other such wells which dotted the landscape it did not have the beautiful flight of steps sweeping in to the water level. The water was used for all domestic purpose including drinking by the farmer. The city then crept in and farming was given up as an occupation. The land was rented out and the renters of the small rooms built on the land, drew water from the well using buckets and a pulley. Times changed and now there is a water scarcity in the city. Construction works need water and are not provided for by the piped network. Apartments have sprung up and they need enormous quantities of water. The price of water is Rs 600 for a tanker load of 6000 litres. 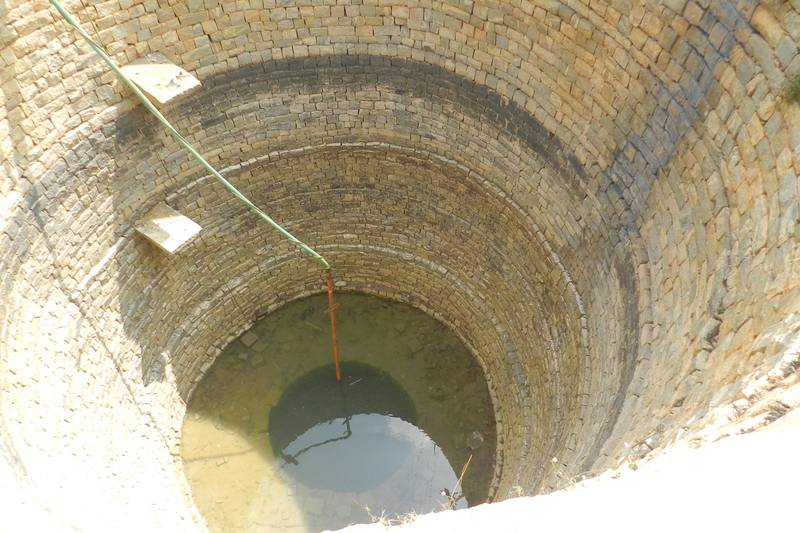 The well has now been ‘auctioned’ for Rs 15,000 a month to a water tanker operator. The more trips he makes the more money he makes. He now extracts water using a pump and has sunk a small tube-well within the open well too. Water is now a commodity and its value is Rs 100 a kilo-litre. The original users of the water now have to struggle to bring it from far off places. The water in the well is being treated as a private resource whereas in truth it should be treated as a community property resource. 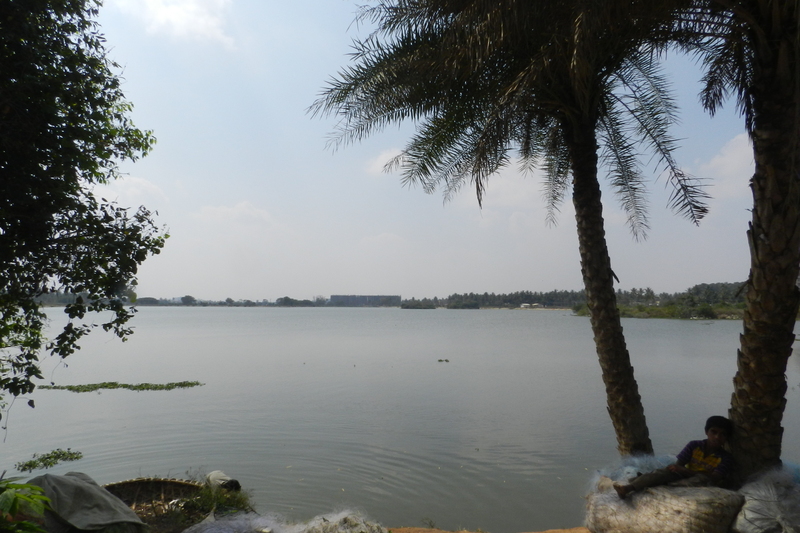 In actuality a waste-water treatment plant funded by the state treats and releases waste-water into the Jakkur lake, which too has been redone with public monies. These public investments recharge the aquifer all around and keep the wells with water. The extraction of the water is however private and land-owners and tanker operators are making the money from this public investment. The key challenge for the institutions is to regulate this withdrawal of water in a sustainable fashion and to draw enough through cess and tax to keep the ecosystem running in a condition that the lake is always full and the waste-water treated. The true cost of water is captured when it is returned to nature at no negative impact and when the ecosystem is maintained to ensure continuous supply. Policies should be framed and laws put into place so that this outcome is realized on the ground. Public monies invested should generate public goods and not private benefits. Recognizing and seizing such opportunities , the city should set up waste-water treatment plants in or close to all lakes, build constructed wetlands around these lakes to further improve water qualities , fill up the lakes to enhance bio-diversity and then to make full use of the recharged groundwater so that the entire city benefits. This form of commodification of water and wastewater which benefits all people in the city as well as the ecosystem is the way forward. That would be one step in water wisdom. You see them everywhere, some painted yellow, and some rigged to tractors moving about busily spilling water as they rush delivering the precious resource to a thirsty city. Are they providing a service or are the making money of a scare commodity called water? The question is complex and there are no simple answers. At the heart of their existence is a state failure. The inability of a system to deliver piped water to all, all the time. Then the market steps in to address the shortage and to meet the demand entrepreneurs rig these vehicles buying a chassis and welding a tank to store water and sometimes a pump to push it up to roofs. The inside of the tank is coated with EPI to prevent rust contamination and to extend the life of the tank. All this is investment of a considerable amount. Then a bore-well is leased, water is pumped into a small overhead reservoir and then shipped to where the demand is. The price of the tanker water can vary from Rs 35 a kilo-litre to Rs 100 a kilo-litre depending on the season and the distance to which the water has to be delivered. Regulation: How is this service to be regulated? Of course certain minimum norms have to be adhered to for both quantity and quality of water supplied. The source of the water should be revealed to the consumer as well as its quality as per BIS -10500. While ensuring that the aquifer of one area alone is not depleted there must be a cap on the water allowed to be drawn for commercial purpose from a bore-well based on the resource availability. Contrary to normal thinking the best way to deal with private tankers is to help increase their numbers and dispersion. A spread out service will ensure that only one sub aquifer is not over exploited and that competition will drive down prices and will eliminate cartelization and price fixing. This is not certainly the job of the current water supply institutions or that of the local government. Creating competitive and fair markets is a different skill set and we need to help develop that in a water regulator or with a water regulatory commission at a city level. Providing a better understanding of the aquifer to the water tanker operators, helping them understand water quality and organizing them into an association and help self regulation and self certification processes within are also necessary. The Ground Water Act and Rules can help drive this effort but only if the outcomes are clearly identified as accepting private water tankers and their role in supplying water. Ultimately the best and cheapest way to deliver water is still the piped water supply but only if it works. Till then the informal sector will have a role to play. Gradually bringing them to the formal domain is the way ahead to manage water availability for citizens better. That is water wisdom. 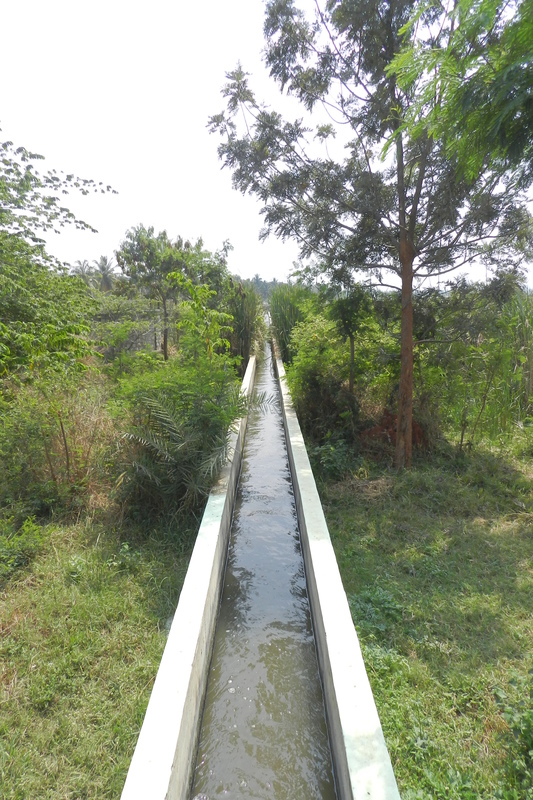 You are currently browsing the Harvesting Rainwater blog archives for February, 2013.